• How can I redefine the idea that painting and writing is not an occupation that can being me money? • Could you explain what the effect of Astrology is on our lives? 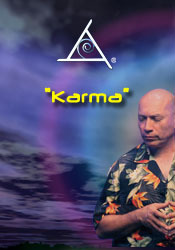 • How do I use Karma as a tool to find out if I'm on the right path? • Last year you spoke of 2013 as the year that would "Shake us to our core." Are we still experiencing this? • Do some of the hybrid children now have children of their own? • Is there a specific way to know if you're channeling? • How can I tune in to what other-dimensional beings are trying to tell me? • Why am I choosing things I don't prefer? • Is my relationship a gift? Or is it just annoying? • How can I still follow my chosen career I if I do not have the proper credentials? • When will we get to meet our Hybrid Children? • What is my connection with The Einstein Crystal Skull? • Recently I've been experiencing a lot of extremes. What does that polarity mean? • I grew up thinking Karma was a punishment, and now I'm afraid of it. How can I redefine that belief? • How can I stay in sync with my core?